The U.S. deployed just 4 megawatts of solar-plus-storage in 2014, but GTM Research expects significant future growth. It's early days for the U.S. solar-plus-storage market -- less than 0.1 percent of 2014 solar PV installations were paired with storage. 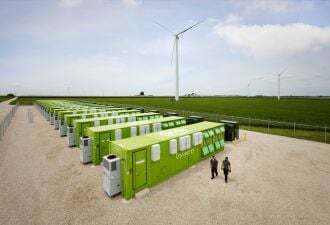 In fact, the penetration rate of storage in solar installations has gone down year-over-year for the past three years, although the overall solar-plus-storage market has been flat in capacity terms. But in spite of this small share, industry activity and discussion around this technology combination have been frantic. There are a number of drivers for the increased level of industry and customer interest. Several technologies, led by lithium-ion, continue along rapid commercialization paths, bringing down costs and providing one of the biggest drivers for the industry. 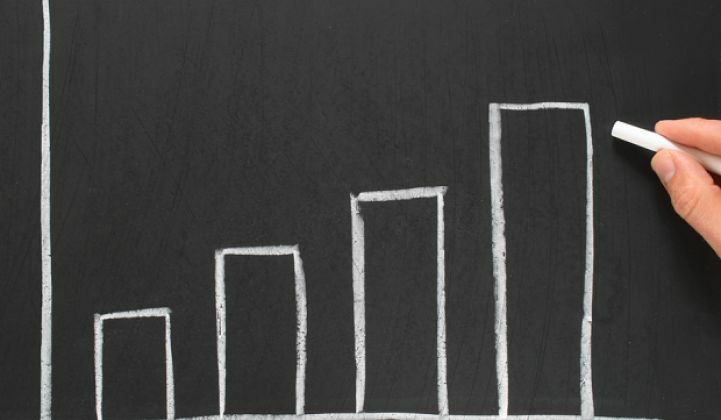 Along with cost reductions, solar-plus-storage value streams continue to advance from traditional backup to multiple use cases. These benefits vary in three ways: frequency of use, discharge duration, and the key beneficiary. Generally speaking, benefits that have more frequent use improve the overall economics of the system. These benefits are not necessarily mutually exclusive, although there are limitations based on technology, availability of charge, frequency and timing of multiple applications. 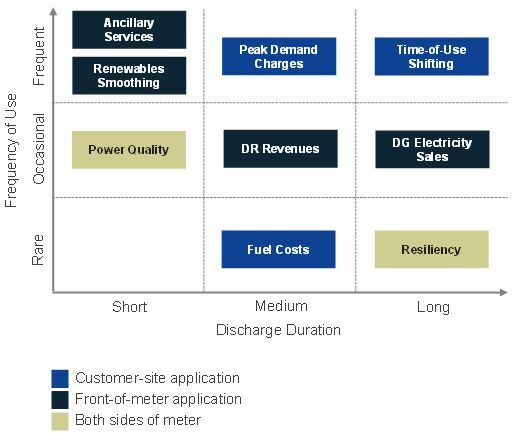 Apart from the technical constraints, front-of-meter benefits have generally not been monetized, except in a few markets at pilot scale. Market rules and policies are still evolving in reaction to the proliferation of distributed energy resources. But across the major state markets with attractive incentive landscapes, the value proposition of solar-plus-storage varies by customer segment. The use cases can range from homeowners optimizing rooftop solar compensation in response to net energy metering reforms and time-of-use retail rates to peak demand shaving for commercial customers. As electricity market designs are re-evaluated, such as in New York’s REV program, storage both behind and in front of the meter is poised to provide services to the end customer and the grid as a capacity resource. Solar-plus-storage deployments totaled 4 megawatts (DC) in 2014, but GTM Research expects them to grow to 22 megawatts in 2015 and reach 769 megawatts by 2020. California is expected to be the biggest solar-plus-storage market, with 422 megawatts installed in 2020 alone. In dollar terms, we expect the market to grow to $246 million in 2015 and $643 million in 2016. By 2020, the annual U.S. solar-plus-storage market will be $3.1 billion. This is an excerpt from the U.S. Solar Market Insight report.